111 new entries added to web design slogans, webdesign, web development slogans, that include pictures. 1. See it. Want it. We make it. 1 See it. Want it. We make it. 7 Typing html faster than you can talk. 8 We make designs, to design and excel your future! 9 Designing opportunities for your business. 10 Making your site the way you dreamed it. 13 Your thought, our design. 17 Where affordability meets professionalism. 18 Your key to the web world. 20 Websites you can manage. 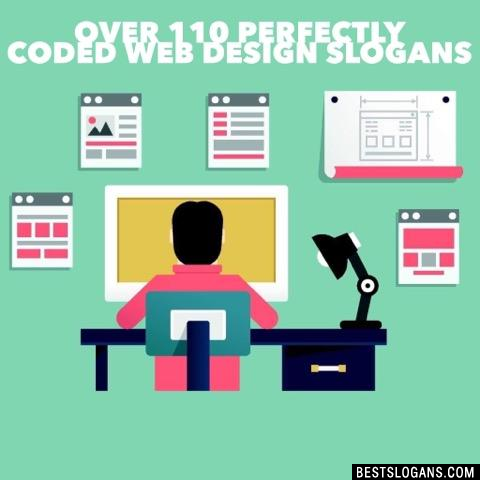 Can you think of a good Web Design Slogans we're missing? Or come up with a clever one of your own. Please share below.